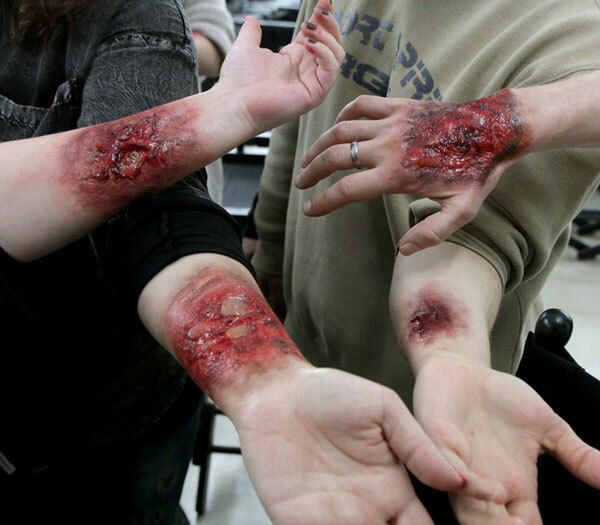 Special Make-up Effects - SFX - Our team of professional makeup artists will walk you through the process of applying and properly coloring prosthetics or other injuries whether they are translucent or opaque. This new! in depth course starts with out-of.the-kit effects that are the staple of professional make-up artists. Learn their craft in a hands-on course that covers two-dimensional and three-dimensional techniques to simulate injuries and other effects. 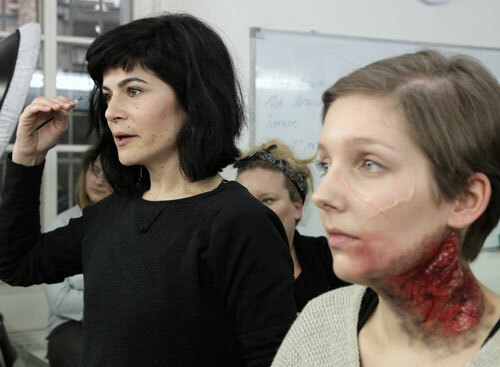 In addition, learn how to apply the latest materials used by prosthetic make-up artists. Our instructor will walk you trough the process of applying and properly coloring foam gelatin prosthetics appliances, silicone GFA`s foam latex prosthetic appliances and Prosaide transfers. Who can attend: you need to have at least our Beauty Essentials (Level 1) OR you work! as a make-up Artist for a couple of years. mail us for more information and to enroll!